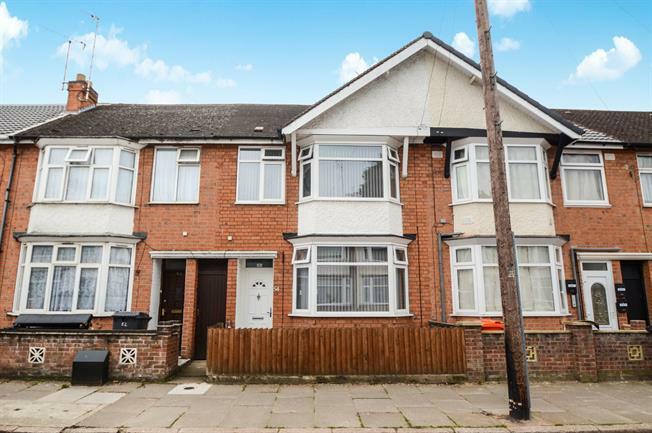 3 Bedroom Terraced House For Sale in Leicester for Offers Over £200,000. This home would make the ideal first time buy or investment. The accommodation comprises entrance hall, lounge and kitchen diner. On the first floor there are three good sized bedrooms and a family bathroom. Outside the property there is a large enclosed rear garden and ample on street parking to the front. Spencers advise early viewings to avoid disappointment.